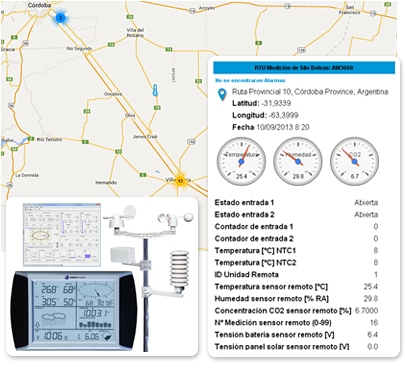 Agricultural Weather GSM Stations provide accurate local measurements for various farming applications, giving real-time data on site and over the internet. • Reduce weight and quality losses. • Warn in case of bag damage or removal of sensor. • Ensure grain existence and location. Temperature inside the silo bags. Humidity of inter grain air. 24/7 real time monitoring and tracking vehicles and cell phones. 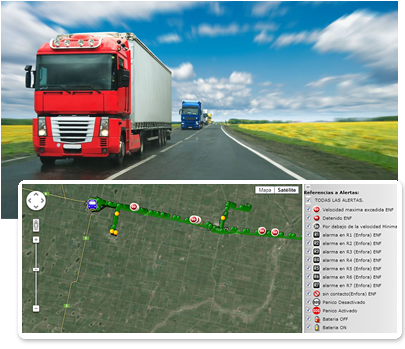 Locate vehicles and assets individually or by groups. Improve work related driving safety to reduce accidents. Verify time of delivery and provide more accurate info to your clients. Maximize the performance, life expectancy and ROI of your resources on the field. Provide real time feedback if more information is needed to narrow the results. View history data and online customizable reports with the ability to export the result to Excel spreadsheet (or compatible). Check the correct usage of resources. Obtain the information that is critical for optimizing your logistic strategies and processes. 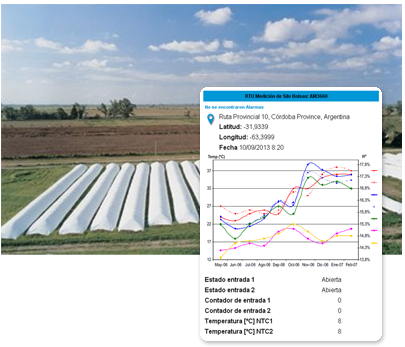 Allows to manage workflows, to enter data for crops and cattle status, soil test, plant survey, stocks, freights and crop monitoring. 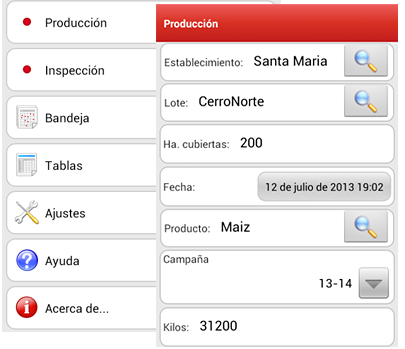 Enter data for crop inspection, cattle status, soil tests, sanitary treatments, stocks. 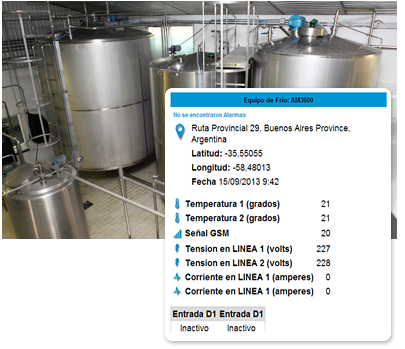 Add geo tags, images and capture 2d code, RFID tags, etc. Tracking and display device location on map in real time. Amount of milk contained in the cooling tank. Generates alerts in case of maximum or minimum temperatures.